Blursome remains personal while exploring electronica's coldest corners. Blursome is the alias of Lara Wehbie, a technical freshman to the dance scene in Brooklyn after finding her footing in North Carolina’s research triangle. Finding words to describe her music can be hard. It’s not that it escapes common label boundaries. In fact, her music fits snugly into today’s dub and club trends. But Wehbie makes electronica from a deep inner headspace, melding distorted vocals and underwater bass hits with melancholic vibes in order to process her own anxieties. Young, yes; sometimes uncertain, yes; but amateur, absolutely not. Rendition of You is all about the build. The EP itself plays out along the lines of a DJ mix, a fact exemplified in the “continuous mix” B-side of the record. By the time the play hits “Let’s Take off My Hair,” the shuddering, deep vocal cuts snake their way into a nearly-balearic house pattern, slithering their breathiness among heady drum snaps. Many moments like this find ecstasy in the chiaroscuro contrast between the depressive and the jubilant. Most tracks, even the hyperactive “Me,” start off in the dark before hitting a dancefloor mood swing around the minute-and-a-half mark where they really start to shine. The influence of UK dubstep icons like Kode9 and Burial is obvious, mostly on the latter parts of the record. After all, it was the clout of those names that seeped through in the Raleigh scene that Wehbie helped forge. The spacey, horror-sci-fi vibes especially present in the most recent Burial 12”s are echoed in Rendition’s final track. But Wehbie is never cold nor alien. Even when dipping her fingers into the more frigid corners of techno’s style, Wehbie’s atmosphere stays personal. Rendition of You is a glimpse at an artist in transition, working her way through both outer and inner conflict, moving both geographically and emotionally. When heard as a continuous mix, the EP has the ability to stack element after element into an aural journey. At its most confident moments, the music can feel boundless. Wehbie’s world may be changing, but her talent holds fast, its form solid and strong. For a woman quoted in her local paper saying “I’m terrible with it, I’m still learning,” Rendition of You is something to be truly proud of. 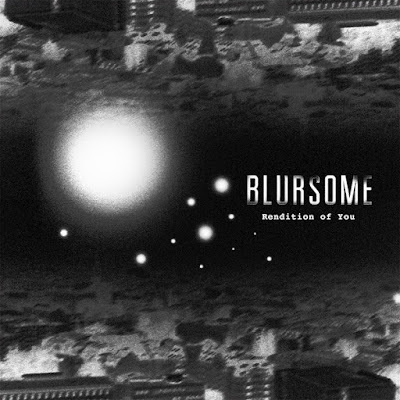 Listen to Blursome on soundcloud.